Irami Osei-Frimpong is a teaching assistant and Ph.D. candidate in philosophy at the University of Georgia, which is a publicly-funded university whose flagship campus is located in Athens, Georgia. Osei-Frimpong has been in hot water since January 2019, when some of his comments on racial injustice, which endorsed violence against white people, made news. Now, Osei-Frimpong claimed that the university offered “permanent probation” in exchange for remaining at the university. He told social media users on the social media platform Facebook that he rejected the probation offer and will fight the administration through legal means. Osei-Frimpong noted that there will be a formal hearing to address his position on rejecting the administration’s offer, but the date has not been determined. On social media, and in class sessions, Osei-Frimpong apparently has a history of making anti-white remarks to students in attendance. The remarks that spurred backlash against him were made on the social media platform Facebook, when he wrote“some White people may have to die for Black communities to be made whole in this struggle to advance to freedom.” Or, in other words, Osei-Frimpong is not opposed to taking violent actions against white people to push for minorities’ freedom. Imagine if a non-minority Ph.D. candidate said similar things, but directed toward minorities. Wouldn’t the outrage and news coverage be much different? Not that anyone should forget but the revolutionary radical turned credentialed academic has a special reason to remember the mass suicide/homicide that occurred 40 years ago in the country of Guyana on November 18, 1978. 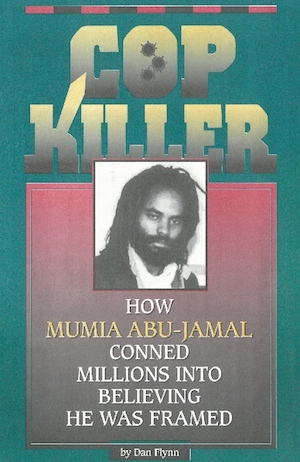 Before you find him on offer as a university speaker or course, you may want to read the meticulously documented story of Cop killer Mumia Abu-Jamal by former Accuracy in Academia executive director Dan Flynn.